I hope you all had a fabulous July 4th!! It is such a fun time to barbecue with family and friends and watch fireworks!! This year we laid low and just relaxed around the pool and barbecued, and of course ended the night watchinf some amazing fireworks. What did you all do? 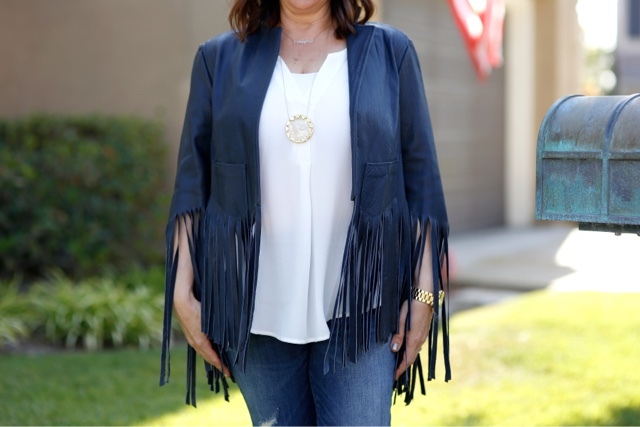 I decided to pull out this vintage fringe jacket by Kate Moss for Topshop. It is a few years old but I am absolutely obsessed and I feel like this fringe phase is here to stay. 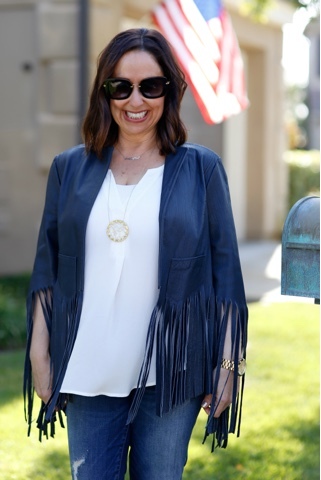 I love everything fringe and this jacket is not exception. I have linked some similar ones here, and here. I paired this jacket with a basic Lush white shirt, some AG skinny jeans, and my comfy Jeffrey Campbell lace-ups. I added this House of Harlow necklace, my Jill Massey Evelyne necklace (perfect for layering) and some Miu Miu sunnies and I was ready to watch some fireworks. How can you celebrate the 4th without some fireworks right? 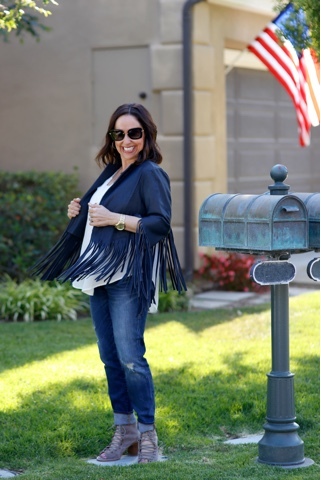 What do you feel about this fringe frenzy? I would love to hear, and thanks to Gabi Wells for photos. Happy 4th and Happy Reading!!! !